Monday night saw the official launch of Cois tSiúire: 9000 years of human settlement in the Lower Suir Valley, the 8thScheme Monograph to be published by the National Roads Authority (NRA). Rubicon were one of the archaeological contractors on the scheme, excavating a number of important sites in this part of Co. Waterford. 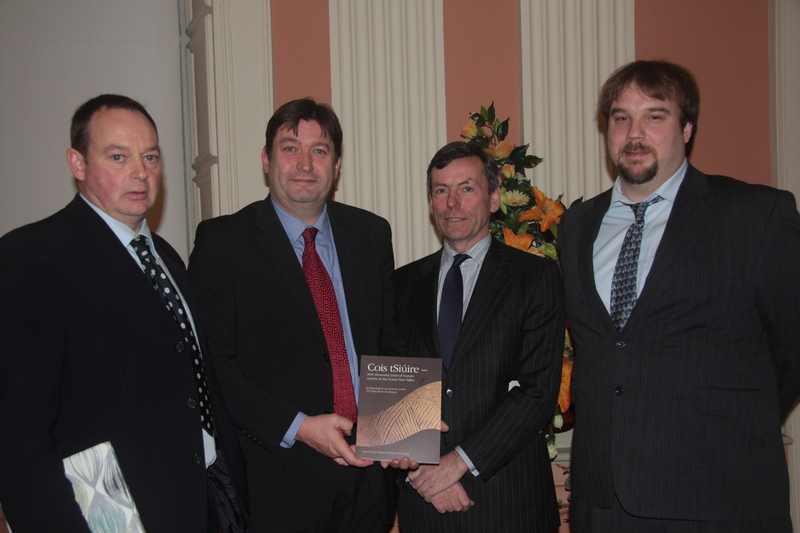 This is the first in a series of scheme monographs in which we have had an opportunity to publish our work. We were also heavily involved in the visual aspect of the publication, and we were very pleased that the NRA selected Rubicon to format and standardize all the archaeological graphics for the book. The launch took place in the Large Room of Waterford City Hall, and was hosted by the Chairman and Board of the Waterford Museum of Treasures and the NRA. 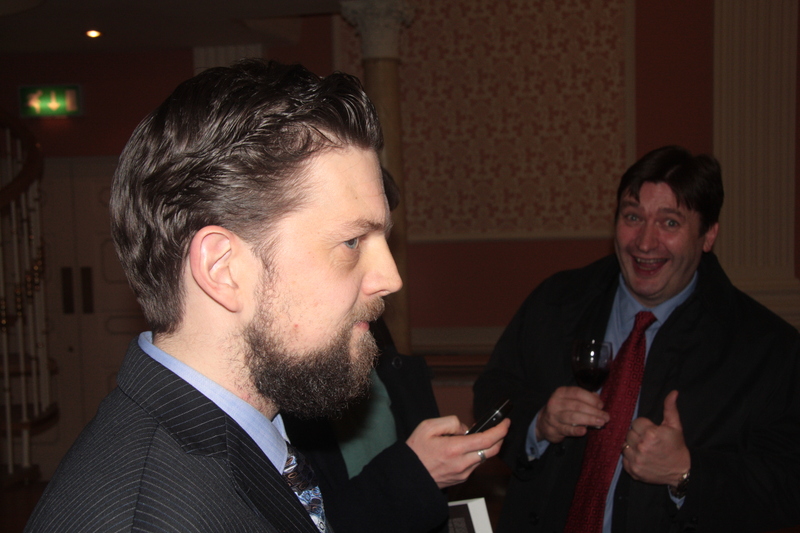 The evening was opened by James Eogan, NRA Project Archaeologist for the N25 Waterford Bypass Scheme. 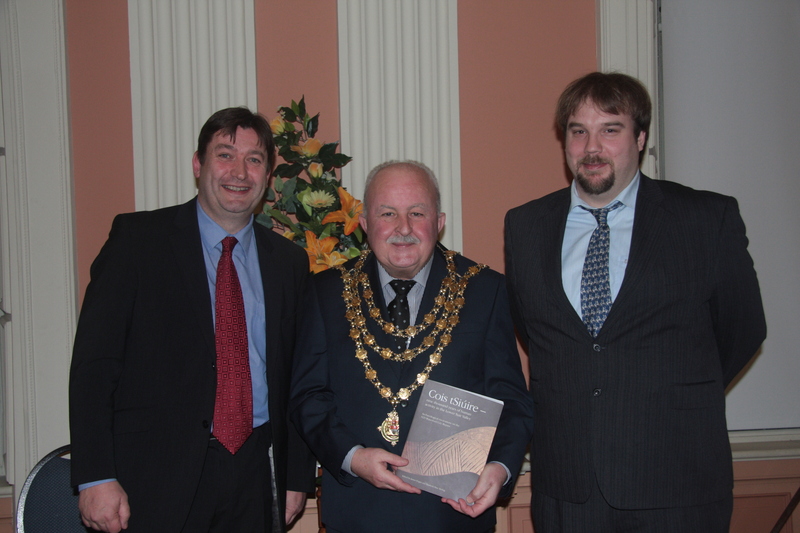 Subsequent speakers included the Lord Mayor of Waterford, Pat Hayes and the CEO of the National Roads Authority, Fred Barry. 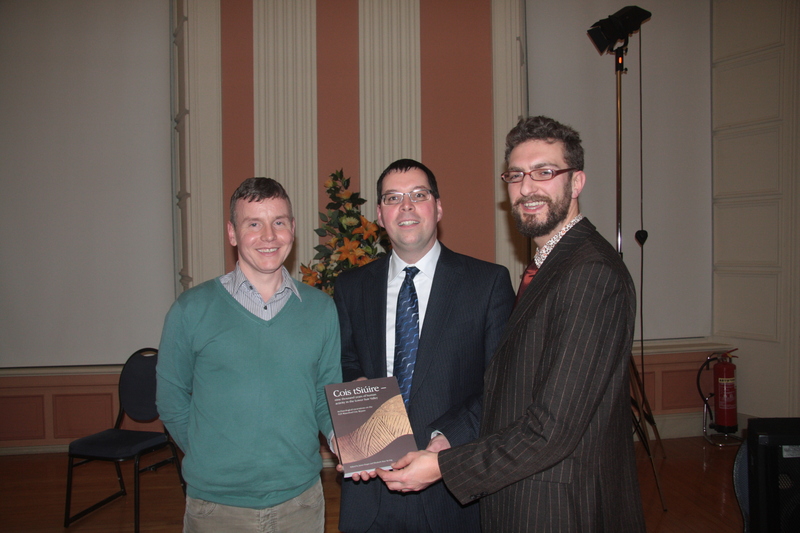 The book was officially launched by Dr. Maurice Hurley, one of the leading archaeologists in Ireland. Further entertainment was then provided by Soprano Anna-Marie Doyle, accompanied by Maeve O’Callaghan on piano, performing a touching rendition of Cailín ó chois tSiúire mé (I am a girl from the Suir-side) –a very suitable Irish folk song given the occasion. Cois tSiúire: 9000 years of human settlement in the Lower Suir Valley is an excellent book, presenting the results of the N25 Waterford Bypass Scheme in a popular and accessible format for public consumption. The monograph contains 148 colour illustrations and maps and tells the story of the archaeological landscape around Waterford in a refreshing and straightforward style. Rubicon Heritage are proud to have been involved with it, the first of many collaborations in print between the company and the National Roads Authority. This entry was posted in Rubicon Heritage and tagged Archaeological, Archaeological Services, Archaeologists, Archaeologists Cork, Archaeologists Ireland, Archaeologists Scotland, Archaeologists UK, Archaeology. Bookmark the permalink.